Being involved in production of PVC packs for years, we have accumulated abundant technology and experience so that we are able to provide packs of souvenir and gifts for international clients such as Coca Cola, Heineken, Walter Disney, Nescafe, Nike, Nokia, Samsung, P & G, Shiseido, Lancome, YSL, etc. We also have been working as an OEM partner to many enterprises from Hong Kong and Taiwan. With our sincere expectation to be a strong support to various merchandisers and traders home and abroad, we are willing as well as able to bring about new experiences of cooperation to you in our special style of advisory service. Thanks for visiting the website of G & W Packaging Co., Ltd. The information about our product will be updated and released in time. You are welcome to leave a message in our Feedback Form and you will receive our souvenir and the latest samples of our product if your postal address is provided. 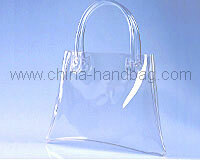 We also welcome you to visit our factory for more information.